Many people would cringe when I say this, but I don’t like New York City. Not that I hate the mad rush, nor do I hate cities, it’s just that the overall vibe doesn’t appeal to my senses. 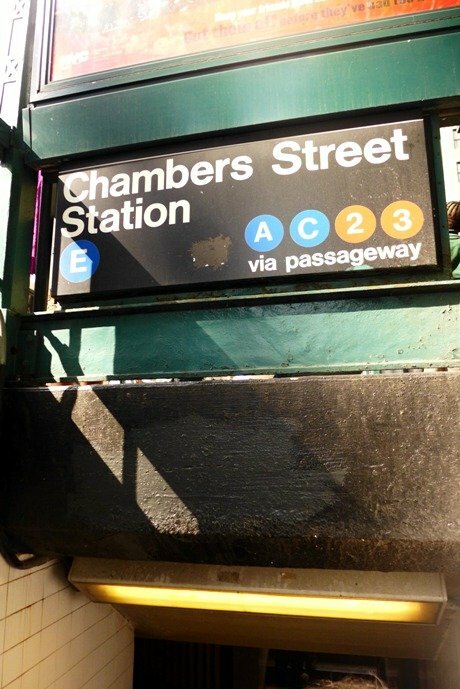 The sidewalks were littered with trash, and the subways were just downright dirty. 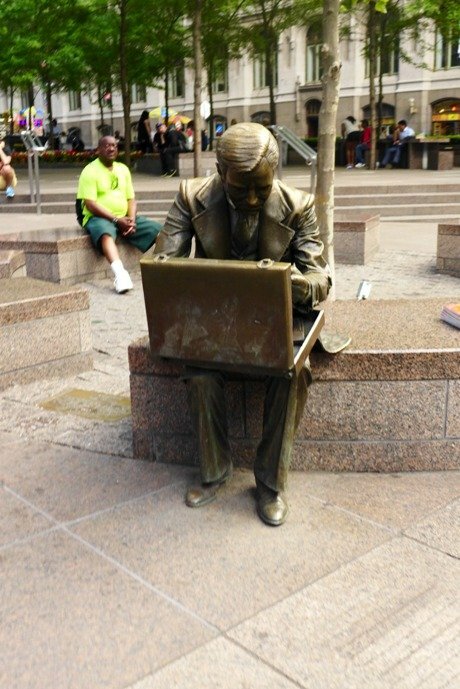 Most New Yorkers were not friendly, which was alright, but sometimes they’re already bordering on rude. Maybe it’s because I just don’t live here that I can’t fathom its charm, but then I can’t even bring myself to think that I would like to move here someday. Theirs is a way of living very far from what I adore. 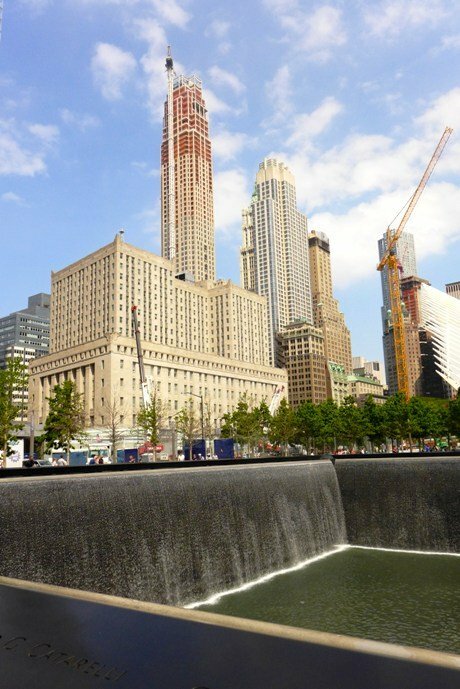 In spite of all this, Manhattan is home to a number of attractions — the skyline with its impressive skyscrapers, the green refuge that is Central Park and several museums housing world-famous artworks. 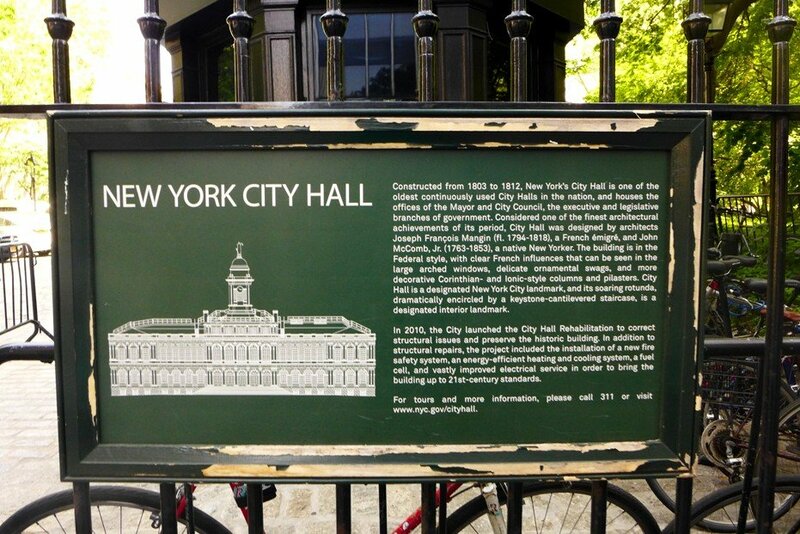 But as this visit is for second chances, I wanted to go beyond Midtown and see what else Manhattan offers. 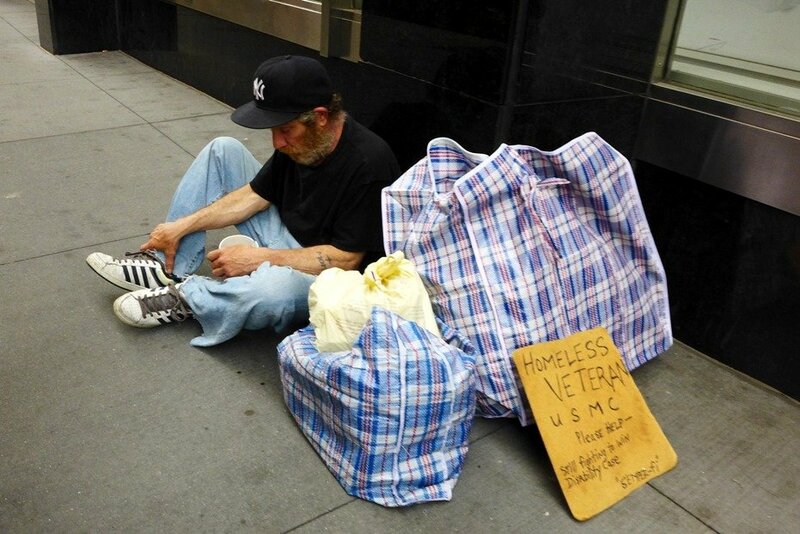 Here is the center of political and administrative power of New York City. 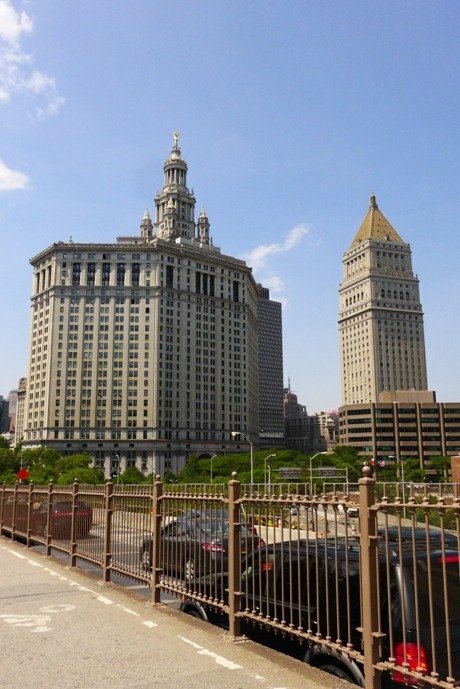 The City Hall, the Courthouse, and One Police Plaza are all concentrated in this place. 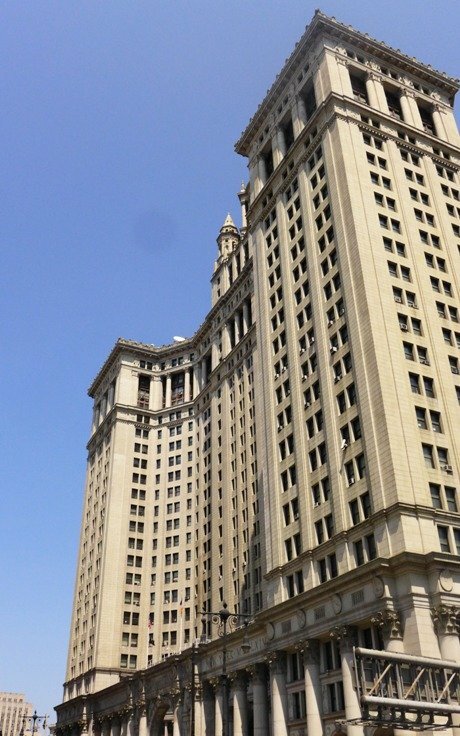 The buildings all exude their power, not in height, but in the beauty of their facades. A park is situated around City Hall, allowing you to rest as while you take in the colonial architecture present around you. Music blared from a radio of a street performer, dancing with a group just to earn money. 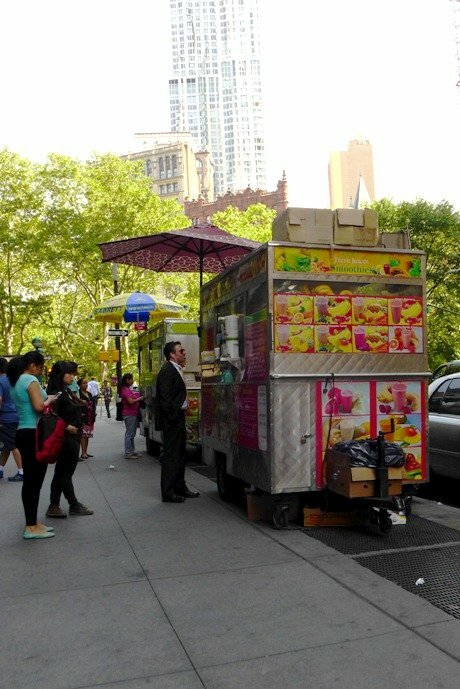 Stalls set up shop all around the area, waiting for parched pedestrians coming from the Brooklyn Bridge. 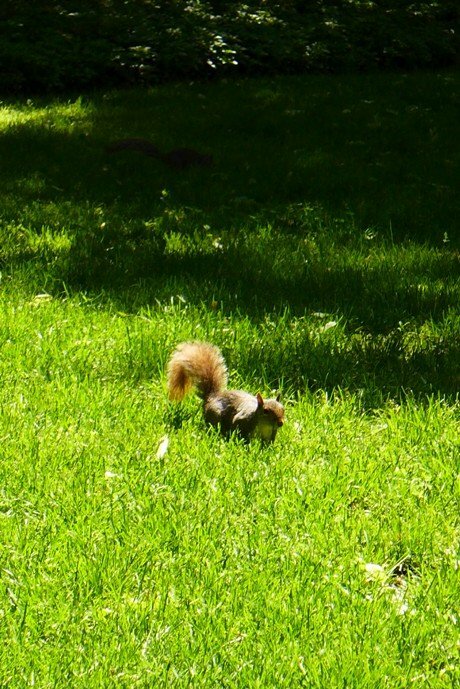 Squirrels run around the park, oblivious to the hurried walk of people around them. 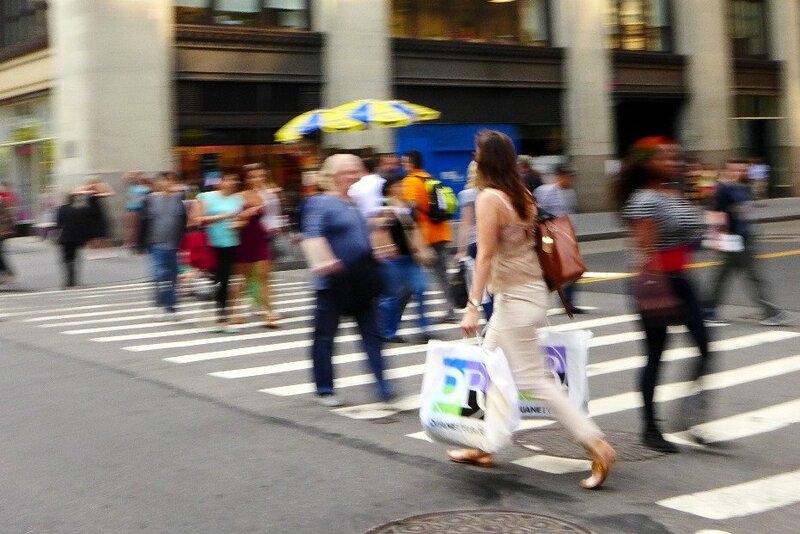 Like in most places in Manhattan, people are in a rush to their next destination. 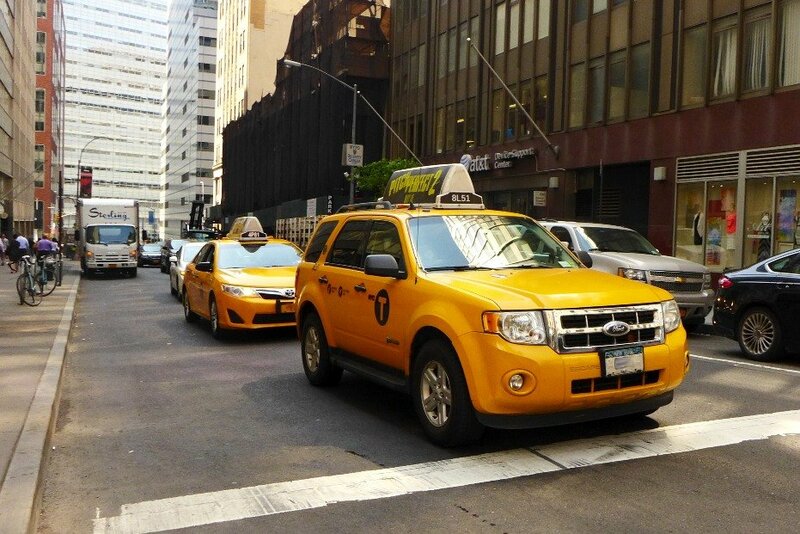 Yellow cabs plied through the streets as pedestrians crossed the intersection with eagerness. Just as we stood waiting for the stop sign to turn green, we watched how everyone went on with their lives — a mother pushing her baby’s stroller, a homeless man begging for alms, tourists looking lost and businessmen clutching onto their briefcases. Navigating the streets of Manhattan was easy, thanks to the almost grid system in place. 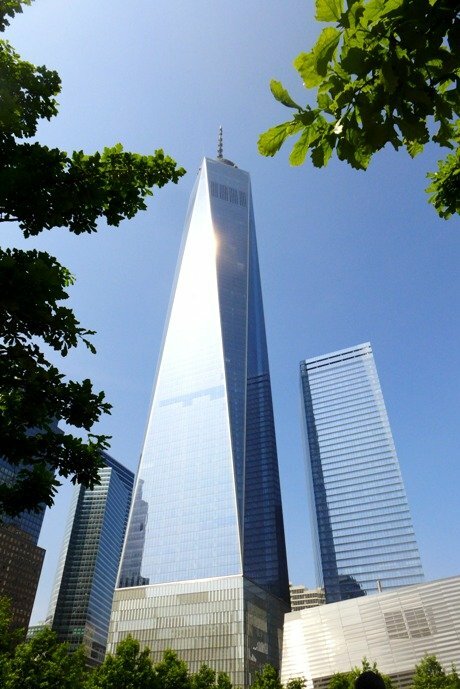 In just a few minutes, we arrived at One World Trade Center. This very modern building almost completely covered by glass marked that we were close to our destination: the 9/11 Memorial. Five years ago, this area was a complete chaos. I’m not even sure if they already had an idea what to do with it back then, but thankfully, they came up with a bright solution. 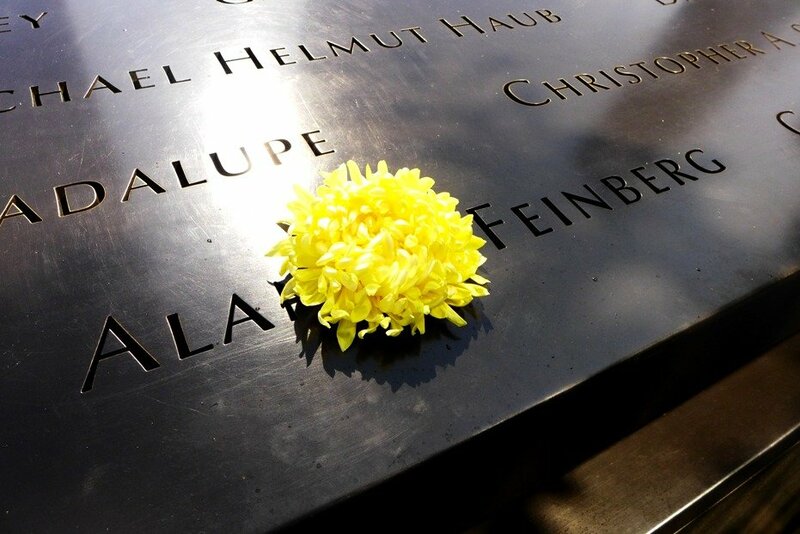 No structure was erected on the site where the Twin Towers stood, but a memorial is put on its place. 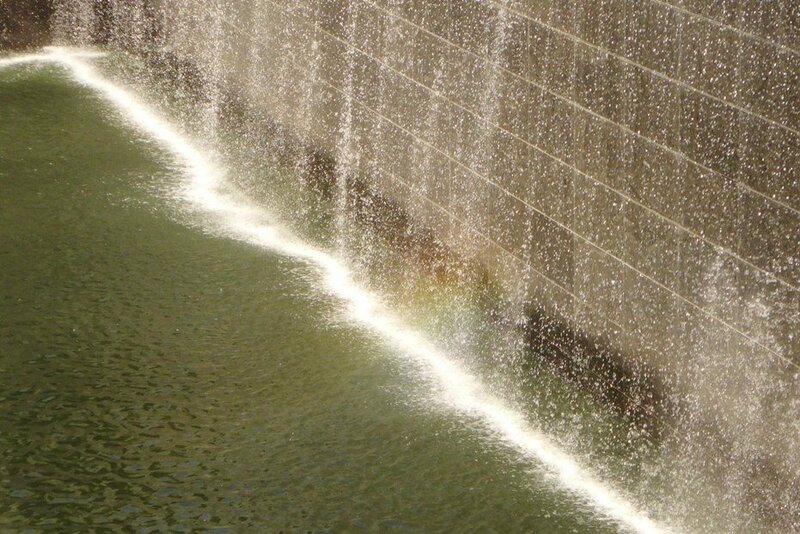 Water flowed on all four sides of the foundation, deep within the recesses of the land, seemingly bringing life to the place where many had lost theirs. On the ground level, names of those whose lives were cut short were inscribed on stone — a memory that would hopefully last more than a lifetime. No heart won’t be touched upon hearing the wail of relatives and friends who lost their loved ones. 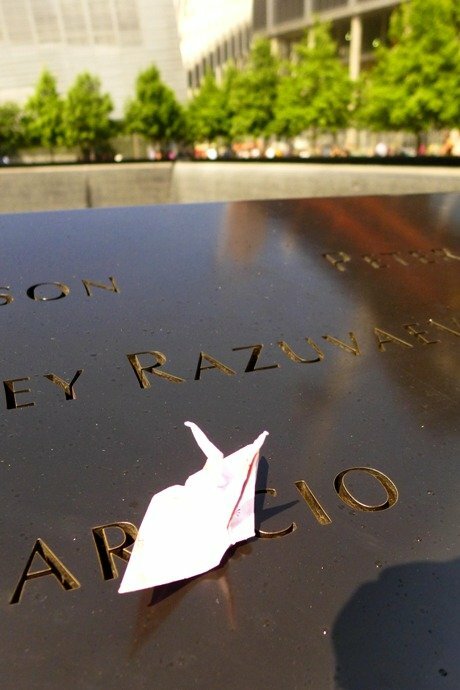 Flowers and papers cranes were put above their names, a symbol to let them know that they are remembered. It’s eerie to find yourself thinking how two towers used to be here, but only two deep square excavations remain at present. What was mind-blowing of all was the idea of how many lives were changed after that tragic act. Unlike Hiroshima, however, the space didn’t have that solemn feeling. 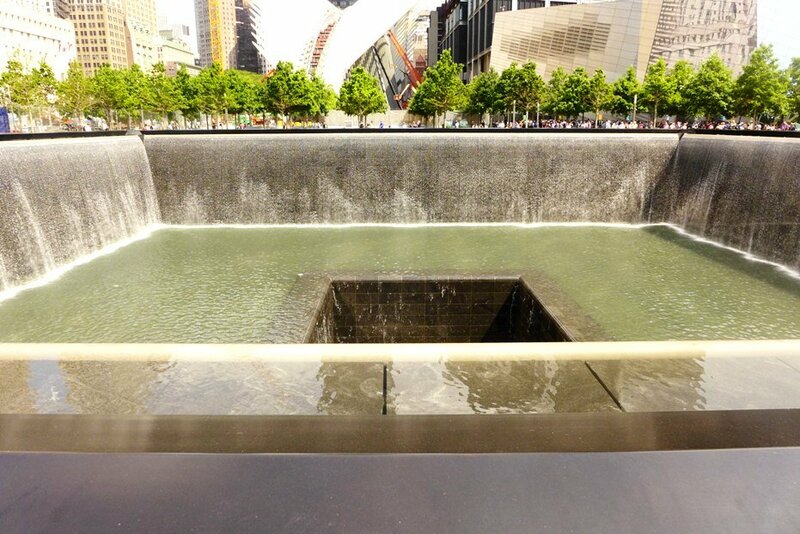 While you can walk around thinking about how many died in 9/11, your thought would be disrupted by tourists posing for a photo, or by the noise that groups create. A museum is open to the public, but with a hefty entrance of more than USD 20, it was beyond my budget. Back to Midtown, then. This will be up next time. Happy travels!